How Do We Read the Commands of the New Testament? How should we read the commands of the New Testament? A legalist will insist we read them as commands that must be obeyed. After all, didn’t Jesus say, “If you love me, you will obey my commands?” He did, but he wasn’t preaching law-based obedience. He was saying obedience is a fruit, not a root, of a healthy, loving relationship. Live by the law – any law – and you fall from grace. You set aside the cross and trample the Son of God underfoot. It makes no difference whether you keep the law to be saved, sanctified, or sanctimonious. Being faithful to the law is being unfaithful to Jesus. It’s walking by sight instead of faith. It’s walking after the old way of the flesh instead of the new and living way of the Spirit. How should we read the New Testament commands? Think of them as “House Rules.” Perhaps you have seen those posters that say things like, “In this house we love, laugh, listen, help others, say ‘thank you,’ and that sort of thing. That’s what the New Testament writers are giving us in their letters. They are giving us the house rules for our Father’s House of Grace. They are painting a picture of the new and wonderful life that is ours to enjoy in Christ. Just as you would not kick your children out of your home or deprive them of your fellowship if they neglected to laugh, listen, or say “thank you,” nor will God punish you for failing to keep his house rules. That’s not the way to read them. The only way you could interpret Paul’s Rules (or Peter’s, James’s, John’s, etc.) as commands to be obeyed is if you approach them with a law-keeping mindset. That wonderful promise is lifted straight out of the law. But what about the flip-side? What if we don’t honor our father and mother? What happens then? What if we don’t keep the rules? If you know the old covenant, you will be aware that there are serious consequences for law-breaking. But since we aren’t under that old covenant, Paul doesn’t mention them. What the law says will happen: “Anyone who curses their father or mother is to be put to death” (Exodus 21:17). Do you see? Under the law you got carrots and sticks, but under grace, it’s just carrots, and carrots that Jesus paid for. While it is true that Jesus quoted the curse associated with this commandment in Matthew 15:4, he did so while talking to religious people and law-teachers living under the law. You are not under the law. Jesus and Paul preached different parts of the same law to different audiences for different purposes. There’s a wonderful symmetry here. One used the law to silence the self-righteous; the other used it to illustrate a timeless truth which is that honoring your parents is always a good idea. Whether you’re under grace or law, it’s a good thing to do. We are not righteous because we honor our parents; we honor our parents because we are righteous. It’s one of the things we do in the House of Grace. 73 Comments on How Do We Read the Commands of the New Testament? THANK YOU SO MUCH PAUL IM SURE YOU STILL REMEMBER ME . ive been long waiting for this and boy did my mind did get boggeled up from this commandment of eph 6:2 , thanks for illustrating this one so perfectly ..
Trust me i went as far and googling what other grace preachers wrote about it and they just treated it as law if you fail then nothing fot you,but thats putting yourself back under the law ..no a better way to look at this commandment ia to see the beautiful life we have in christ wch is not even dependent on our performance and that we honour not to obtain blessing but because we are righteous . i thank God ,this is definitely the last time im having headaches with this verse! I’m glad to hear that, Mildred. Religion gives us headaches, but Jesus sets us free! When you love someone and they ask you to do something for them you rush to do it. I always read it as it is the love that is important. The commandments follow. And we love Him because He first loved us. That’s exactly it, Anthony, and it doesn’t feel like a command – something you have to do – but a joyful, fun thing you get to do. A command can be a military term that means a strategy for victory and success. I like that definition of a command. Also, Romans 6:16 says, “Do you not know to whom you present yourselves slaves to obey, you are one’s slaves whom you obey , whether of sin leading to death, or of obedience leading to righteousness.” Thus we reap what we sow. Sowing through a strategy for victory and success gives what I want to reap. 22 But the fruit of the Spirit is love, joy, peace, forbearance, kindness, goodness, faithfulness, 23 gentleness and SELF CONTROL. Against such things there is no law………and I say OH LOOK SELF CONTROL, imagine that ,I wonder how that got in there. Hey Paul. interesting post. You are doing what most hyper grace preacher do. Is give an incomplete understanding of the law and grace. In this article you are leaving out is how the law is applied to believers in new testament and how law works in conjunction with the grace after one is saved. Its not that your points in this article are invalid. Its just incomplete leaves folks on other camp ( who don’t hold your view ) with more questions. Understanding the deeds of the flesh (old man) and the spirit man (new nature) as Paul does in Romans chp 5-8 provides the understanding of self-denial, without being performance based mentality through the flesh led by the law. You are right – I did forget to mention how the law is applied to believers in the new covenant, so let me deal with that now. The law is NOT applied to believers in the new covenant for we are to walk by faith and the law is not of faith (Gal 3:12). We are not under law but grace (Rom 6:14). The law does not teach us how to please the Lord, it does not teach us to be holy, it does not teach the believer anything at all for Jesus himself is our Teacher and he promised that his Spirit would teach us all things (John 14:26). All means all. I want to be as clear about this as Paul was in Romans 7 – any believer who seeks to live by the law is committing spiritual adultery. They are cheating on Jesus. Thanks Eric! I would say Paul that law does teach you everything that is apart from Grace and identifies the works of the flesh until His gathering of the saints. Grace through the law teaches you depend on Jesus and not the flesh for salvation or holiness. One of the Holy Spirits functions is to convict and the standard that it uses to convict is the law letting every believer know that they are not under grace but the works of flesh. When we walk in the spirit led by Holy Spirit Romans 8 becomes a reality in our lives. The law is a tutor to cause us to depend on Jesus finished works. Once this truth dominates out minds set this verse are able to manifest. Romans 7:22 For I delight in the law of God according to the inward man. 1 John 5:3 For this is the love of God, that we keep His commandments. And His commandments are not burdensome. I have to disagree. Grace teaches us nothing through the law and the Holy Spirit doesn’t use the law to convict us. Paul doesn’t say the law is a tutor but a paidagōgos which connotes a kind of servant whose job it was to take the kids to school. Christ is the end of the law – the fulfillment, the last word on the subject – for all who believe (Rom 10:4). I believe. Thanks, Paul, this is as good as the original post. The law was given so that sin may abound and anyone who tries to stop sin by it, is coercing people into a sin filled life. Great post. It’s so important that we remember this. Blessings! I haven’t really thought about this so others might like to offer their thoughts, but this is off the cuff: Jesus was speaking of the law; the writer of Hebrews was speaking of the law-keeping covenant. Two different things. On the cross Jesus fulfilled all the requirements of the law on our behalf, hence that covenant is now obsolete, although the law itself endures (as witnessed by the fact that many still try to live under it). Another interpretation is that the phrase “until heaven and earth pass away” is a reference to the age that came to an end with the arrival of the new covenant (see Jesus’ words in Matt 24:34-35). In Christ you are a new creation, a citizen of that new earth. In this interpretation the law and the law-keeping covenant are synonymous. hi Don..i think Pauls response of Christ fulfilling the law thus making it obsolete,is correct. I would also add that the Mosaic law was never given to anyone but Israel alone.Personally, i believe it is a question of understanding the dispensations.God does not change,but his purposes for people in different time periods have.Many of the promises to Israel still remain unfulfilled,and will not be fulfilled until the 1000 year reign of Christ on the earth.That time period will not be an age of grace as today,but an age of law,actually an intensification of the Mosaic law.Many passages concerning this time period will contradict the teachings of grace as do passages concerning the mosaic law.Only as we recognize whether a passage is directly applicable to us today(under grace),will we be able to rightly divide the Word.If you try and just “blend”all the scripture together,you will be in a perpetual state of confusion and contradiction. Sadly,in my lifetime, the passage you just mentioned (Mt.5:17-18),has been used or rather abused by preachers to”support” their sermon to tell people they must tithe,rather than teaching the awesome incredible primary thing we should know…that He fulfilled the law! Anyhow Don,hope this might have helped. Don… Jesus did not come but for the lost sheep of the house of Israel. Hebrews is written to Hebrews, not to you. Everything written is for us, but not to us. We must always remember that Jesus is the fufilment of the law, he is saying that his ministry is what will stand. You need to read on to put it in perspective,and see that it is only grace that will allow you to comply.What really helps me with this is Jesus,s words to Peter with man it is impossible, but with God all things are possible. My understanding is that Paul was talking about the law being ended “for righteousness”, Rom 10:4. We now have the much more glorious ministry of the spirit and righteousness available to those who believe, 2Cor 3:7-11. For Christians it’s our faith that is counted for righteousness (Rom 4:5), and not deeds of the law. But this is not to say the law is destroyed. In Rev 20 we see the law is still around at the great white throne as the books whereby people are judged by their works. This refers to those who qualify to be judged by the law (unbelievers). Christians however will not be judged by these books of the law as we are in the Book of Life (Christ) instead. What Jesus said is completely true. The law reflects the standard of God, it can never die. And Christ did full fill the law in 2 ways. He lived a perfect life as a man, the 2nd Adam. The 2nd way He full fill the law was to provide us a death which is required of us. But the law cannot save us. Cannot make us holy. In fact the perfect standard of God condemns us. This is its function. So that man knowing this, that we cannot, would stop looking for good in his flesh but look to Jesus to find himself. At the crux of it is also the issue of our identity. Yes the Lord did say if we love Him we would keep His commandments. But the reverse is not true. It does not mean that if someone “kept” the commandments that they are doing it out of love. I think you need to read it in context. He says He came to fulfill the law and then He says your “performance” has to better than the Pharisees (I’m paraphrasing). This is only like a couple verses later. So I’d rather have God’s righteousness than my own like Paul mentions in Phillipians and also how Christ is his life. In other words we need a Savior. Hope that helps. The positive changes in my life have all come from the inside out. I guard the Word by studying and meditating on it. That leads to “repentance” (a change of thinking) which results in a renewed mind – the battleground. Sin is merely believing and acting upon the lies of Satan. That which isn’t of faith is sin. As I renew my mind, I no longer believe the lies. I’m filled with God’s truth. Paul: the interesting thing is, when one delights in carrying out the commandments of the Lord, one finds commandments everywhere, both in the OT and the NT, yet none of it is law, just pure joy in obeying our Master. Jesus said: “If you love me, obey my commandments.” and there is they key! We do it because we love Him. This often reminds me of playing ‘fetch’ with one’s dog. The command is ‘fetch’ and the dog races to carry it out. The funny thing is our pleasure comes more from watching the dog’s delight than actually throwing the stick! The dog seemingly never tires, despite the extreme exertion, and every time he’s back, wagging his tail and gasping, as if to say: “Throw it again! Throw it again!” He just wants to do more and more. Now that’s being motivated by love. 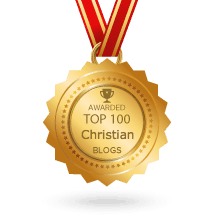 Without doubt, the people perusing this blog are eager to please the Lord. Consequently, it is not unexpected that some confusion may arise as to commands vs. the Law. The Law has been nailed to the cross. Thus Christ is the end of the Law for all who believe (as Paul mentioned above in response to an earlier comment). Under no circumstances does the Law apply to us believers, in any shape or form, for whatever reason, ever again. Once we know this, and understand that we are forever under Grace, no matter what, we cannot be shaken anymore. As people permanently under Grace, we need not fear the use of certain words, such as “commands”. The Lord gave us commands that we eagerly carry out and benefit from. This does not put us under Law, we just rejoice in obeying our Master. And if we fail to do so, we fear no punishment, but rather, an increased outpouring of Grace in our direction to strengthen us and encourage us. So whether we call it “commands”, “house rules”, “instructions” or whatever else, it’s all the same. Doing it or failing to do it will not take us from Grace and place us under the Law. We believe in the Cross of Christ and therefore are under Grace and that’s that. Nothing has the power to change it. 1John 3:23 this is His commandment: that we should believe on the name of His Son Jesus Christ and love one another, as He gave us commandment. Regarding Eph 6:1-3 “honor your father and mother….”, remember that the law is spiritual, Rom 7:14. Thus we see it refers to God our Father, and Jerusalem above who is our mother, Gal 4:26. How do we obey them? We keep the commandments to believe on Jesus (which is God’s will for us, John 6:40), and also to love one another (which includes our physical parents). Loved this word Paul- thanks again! What helps me is that whenever I sense I should do something I simply check my motive- if I feel unwilling, driven, threatened or fearful of losing divine love or blessing if I don’t do it-I wait until God works in me by His grace to make me willing and to give me the mind of the Spirit in it – which to me me feels like love, joy , peace etc etc. I always ask myself, “Is the “voice” behind this command a loving Father and Friend or is the “voice” holding a big stick threatening me . By this I discern the difference between grace and law when I sense I should do or say something. I wish I would have known all of this so much earlier in my life! I also wish there was a study Bible with all of the study notes coming from a grace perspective. My current study Bible notes would be very confusing and contradictory to anyone who is not learning to read the Word through the lens of the cross. Paul, thank you for this, it is helpful. Can you please help me understand Jeremiah’s prophecy of the New Covenant that God would “write His law in our hearts”? The contrast in this passage seems to be simply where the law is written, on tablets of stone verses hearts of flesh. As you know, this passage is used by Seventh-Day-Adventists, and others who attempt to place themselves under the law, as proof that we are still to keep the Law today. Have you already written something about this passage? WE are no longer under the law but the law is written on our hearts. In some ways the law is more central in the new covenant than in the old. But now the law is our friend and a thing we are inclined to do rather than our enemy that brings a curse. In the old covenant it was our enemy because we were in Adam but now we are in Christ who is the fulfilment of the law. Nonetheless breaking the law is still sin so we should honour our parents. The law is still commandment rather than just a suggestion. hi Mike!hope you dont mind me “piping” in.While we often refer to this passage to ourselves as believers under the”new covenant”,it is in the main a prophecy for the Nation Israel that is still awaiting fulfillment. It could hardly be said that they “all know Me” now….but at the second coming of Christ,this will be fulfilled.The writing of the law upon the heart will be a divine assisitance towards the keeping of the kingdom law which the other peoples of the world will not have,and which Israel did not have under the law of Moses. While there are similarities,the written law upon the heart in this prophecy is not the same or really comparable to the power of the indwelling Spirit which is the present Divine enablement to every believer,Jew or not,under grace and the teachings of grace. The Holy Spirit does not put us under law,whether it be the Mosaic law or the kingdom law. When i believed,i became a new creation and i knew i was changed,the Holy Spirit bearing witness with my Spirit,that i was achild of God.I do not recall one law suddenly being written on my heart,or automatically coming to mind. I do recall feeling free,and as i studied the Word,finding i was free from many “laws” others tried to put me under. Hope this might help. Try reading Heb 8.7-13. This is a direct quote from Jeremiah and establishes the prophecy as applying to the New covenant made in Jesus blood for all humanity. God’s laws are written on the hearts of all believers in Jesus even if they dont feel that they are. Are you saying that there are no future unfulfilled promises concerning the restoration of the nation of Israel? HI Brian,the passage from Hebrews is a direct quote,but the audience are Hebrews and the words are still in the main to “the house of Israel”vs.10,”the house of Israel and the house of Judah”vs.8…In no way could you possibly say of ALL Israel NOW,”they all know me”vs.11 .Most of Israel today rejects Christ. I’m not saying the New Covenant made in Christs blood does not apply to us.There is a sense in which Gods law is written in the heart of believers,but it is certainly not to follow all the commands of the Mosaic law,or the kingdom law,both of which contradict grace in many places.I see the prophecy as one that is partially fulfilled,much like that of Isaiah 61.Jesus quoted this in Luke 4,but he stopped midway through vs.2. The good news was preached to the poor,he binded up the broken hearted,proclaimed freedom for the captives,release from darkness,and proclaimed the year of the Lords favor…..but the rest of that prophecy is yet to be fulfilled. I thank Jesus for his sacrifice and believe individual salvation is available for all,but also believe in a national salvation for Israel after the tribulation when Christ comes and rules for a 1000 years.Thank you for your comments and have a blessed day! Yes, there is a difference between how Christians fulfill the law and how the Jews sought to fulfill it. Because it is written in the hearts of believers it is fulfilled in the Spirit and not the letter. It is circumcision of the heart and not the flesh. The outward signs of Jewishness that separated the Jews from the Gentiles are now no longer valid. What now counts is keeping God’s commandments which are summed up as love God and neighbour. Circumcision and noncircumcision are irrelevant. The law (love God and neighbour) is now internal in the Spirit leading to life rather than external and in the flesh leading to death Rom 8.13. Just like to add that the part where it is said God will write His laws in our heart, I believe these are new desires. Take note that it is God doing it, not us, as in you must do, but new desires, new inspirations. Its only when we received righteousness by faith only then can be be accurately led by the Lord. The righteousness that comes by faith in Jesus!!!!! Makes me wana shout Hallelujah! haha. The “laws” written on the hearts of those in the New Covenant are exactly what you posted in that verse. “I will forgive your wickedness”. The New Covenant is not a covenant that God made with man, but with Himself. He is the One who is keeping the laws that He swore by himself, and He writes them on our heart, so that we have full assurance of our faith. God cannot lie, He will do all that He says. The idea that the Laws of God are written on the believers is only helpful in our understanding of the grace message. When someone says the commandments must be obeyed the sense of the word ‘must’ depends on what that person believes about what has happened in the hearts of Christians. If he believes that the Law is written in the hearts of Christians the exhortation to holiness becomes an encouragement. ‘Yes do the right thing (e.g. honour parents) because I believe that your heart is changed to do the right thing. Nonetheless the laws of God are not suggestions but still commandments which means that if we dont keep them we sin. In this sense we must keep them. The law stands but the Christians relationship to the law is fundamentally changed. We are no longer under the law but rather the law is now internal written in our hearts. This is a metaphor for ‘our hearts are now transformed to obey God and his Messiah in the Spirit through love’. “Nonetheless the laws of God are not suggestions but still commandments which means that if we dont keep them we sin.” Do you believe this is true of the fourth commandment as well? So you’re saying you do no work on Saturday? No! I am not a Sabbatarian. The way we fulfill the law is transformed from an external fulfilment to an internal fulfilment. The law is written on our hearts. We obey the fourth commandment when we cease from our own labours and enter into God’s Sabbath rest (Heb 4.10). We achieve this by faith. All that we do out of faith is breaking the fourth commandment and is sin (Rom 14.23). God did not want to hear the the work to form the stones to build the temple, we are the new temple , how much more will he turn his ear away from our efforts to build ourselves. And how much more will turn his ear to those who trust him. I understand that Brian, or maybe we should say that we are true Sabbatarians, true Sabbath keepers, in that we have rested from our own works and rest in the finished work of Jesus. My next question is, what do you say to the Old Covenant Sabbatarian who says, “the law is spiritual, yes, and you are resting in Jesus finished work, good, but you obey the law that says “thou shalt not murder” and you obey it both physically (as in not taking another life) and spiritually (not hating in your heart). Why don’t you obey the fourth commandment both literally and spiritually as well? Thanks for your help with answers. I think the discussion shows the importance of dispensational theology.while we can certainly “over-divide” things,to the point where we complicate the simple…..to disreguard the differing rules of life for the different ages leads to far greater complications,confusion,and Scripture contradicting itself…which would prove the Bible to be untrue and untrustworthy. The word “law” has several meanings in Scripture,and the commandments of Christ hardly mean all the commands one might find in the whole Bible.Christ did not use the term “My commandments” until the upper room discourse.Here he takes them beyond the cross to the new teachings of grace.The disciples he spoke to were Jews,yet here Christ speaks to them as those no longer under the Mosaic law…..”But this is to fulfill what is written in their(not “your” law)”;They hated me without reason.-John15:24-25. Much of the Mosaic law and the kingdom law should not be written on our heart at all and to propose that now that we have the Spirit,all those laws are now internalized is foolish.Only as portions of the law are restated under grace,should we apply them to ourselves. The teachings of grace are a complete rule of life,and need no admixture of law.The letter kills but the Spirit gives life.The Spirit did not come to enable us to keep the law,but to live by Himself. I do not make a distinction between spiritual and literal. We literally fulfil the 4th commandment by ceasing from our own labours as God did. Brian, God ceased from His own labors on Saturday, the seventh day, which became the sign and seal of the Old Covenant. If you make no distinction between literal and spiritual then I assume you cease from your own labors on Saturday, correct? I don’t think you can have it both ways, if you rest “as God did” then you are keeping a certain day, the 7th day, holy. God rested on the 7th day, not the first, and in doing so hallowed that day. I am making the argument exactly as a Sabbatarian would even though I am not one. I believe the 4th commandment for the believer is spiritual, in that we rest in Jesus’ finished work now, not on a day of the week. I am just asking you about your comment making no distinction between literal and spiritual, so you must literally rest from all work on the 7th day. So, you are saying we are not under the law (Jesus fulfilled the law); yet this is not a total fulfillment because they still make us sin. Thus my new spirit, is a sinner too (Ezekiel 36:26)? I mean if we are not under the law, what exactly are we sinning against? Or maybe I should ask; which laws were not fulfilled? Does my new spirit just kinda come and go? Is it still my righteousness? Is it no longer a gift? Thus I should boast when I don’t break certain laws? If you read the end of 1 John here we see a description of a christian brother who is sinning (5.16). Now earlier John says that Christians do not sin (3.9). Therefore we conclude that generally Christians do not sin if they abide in Christ (3.6) but from time to time they do. They sin when they break God’s law. They are not under the law or its curse when they abide in Christ. Being in Christ does not excuse us from practicing righteousness (obeying his commandments) but rather it enables us to do so (3.7). ‘Do we then make void the law through faith? Certainly not! On the contrary we establish the law’. Romans 3.31. It notes that we do righteousness. That, if we walk in the light (1 John1:7), if we walk in the Spirit (Galatians 5:16), if we hold steadfast (Heb.3:14). “If we live in the Spirit (the Spirit is in us that believe), let us also walk in the Spirit” (Galatians 5:25). That “also” is what rules this sentence. We have the one, but also need the other, the walk (the follow, the adhere to). This leads to Galatians 5:16. how to keep from the flesh. 1 John 5:18&21 speaks of this keeping one’s self. Though I don’t agree with your interpretation, at least if I read your post correctly; I appreciate your response. My previous post was meant to be a response to Brian M. (Not you Paul :)). When I was a follower who mixed grace and works. That verse scared me. When I chose to believe and started understanding Grace, that verse made my heart sing Amazing Grace!! So thankful for the teachers of the gospel; who stuck to the truth even under persecution. Yes they are growing as they study, as do I; but over the years (Galatians is a great read, Paul stuck to the Gospel of grace even when challenged by so called leaders) many have endured to the end. Thanks brother Paul! Truly savor and cherish your posts of hope and encouragement in His grace! Thanks for your thoughtful comment, Mildred. Please keep any future comments brief, as per E2R’s comment policy. Thanks. Can someone explains Romans 6? Thanks. Please check out the Archives > Scripture Index. Thanks. Ok, I’ve heard a lot of the “Well you are a Christian and saved by grace but now you must work and sweat and toil for Jesus and if you do not then let’s just say it won’t be pretty” crowd. Some I’ve heard say if you don’t do, you won’t be in Heaven. Others would say that if you don’t do, you will still go but not after first being publically humiliated because of all those times you didn’t read the Bible, witness, etc. But all boils down to…..do, do, do. Anyway sorry if this is long and thanks. I’ll check it out. Thank you for this piece. It is very nice to know that we are under grace. If the law is set aside, (if I am reading it correctly), how do we identify sin? Heb 10:26-27, in short, if you sin willfully there is no forgiveness but only the waiting for judgement. This is something I am really struggling with. How do we recognize sin? Our consciences tell us. Regarding Heb 10:26, please check out the Scripture Index in the Archives. Thanks Paul 4 that gracefull msg.. true that now evrything we do is out ov what he has done, jst a response 2 what he has alrdy availed through his grace…&its true,that its not that we luvd him bt that he luvd us first, most ov the times we focus on the commandments & forget what was be4 the commandment,, nt knwing that the commandment has nw cme bse he has fulfilled it. there4 be4 the first commandment is the fulfillement ov it. Thanks Again.. Paphra. Hi paul! You directed me here and i love this post yet am still trying to get it all worked out in my head. If paul heard the rule “dont covet” and it inflamed coveting then why would he preach like that? Is it that the rules he heard had threats that inflamed sin but giving rules as guidance doesnt? I don’t believe the Apostle of Grace ever preached law. On the rare occasions he mentions one of the ten commandments, he does so to draw attention to a promise, rather than to coerce behavior. Maybe im explaining my confusion wrong. I just mean rules in general. Theres a lot of behavioral rules from Paul but the difference is there is no threat with his rules. So is that what causes law to inflame sin but Pauls behavioral passages dont because theres no threat behind them? I am on board with Grace just still trying to weed through some confused/wrong mindsets I have learned over the years! I don’t see them as rules but exhortations or invitations to live out our true identity. Here’s an example.